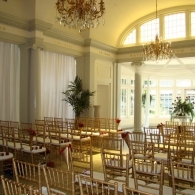 Nestled within the scenic Saratoga Spa State Park at the foot of the Adirondack Mountains, the National Museum of Dance provides a magnificent setting for your wedding, both distinctive and unforgettable, luring your guests to experience the hidden beauty of Saratoga Springs. Several settings are available at the museum, including a magnificent marble foyer and enclosed courtyard. 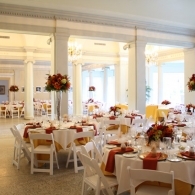 The foyer provides an atmosphere of classic elegance for your event. 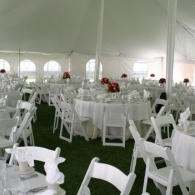 French doors open onto the private courtyard where spacious canopy tents can be placed to seat guests. 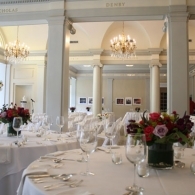 The southeast gallery is a popular choice, offering a light, airy ambiance and a private entrance for cocktail parties. 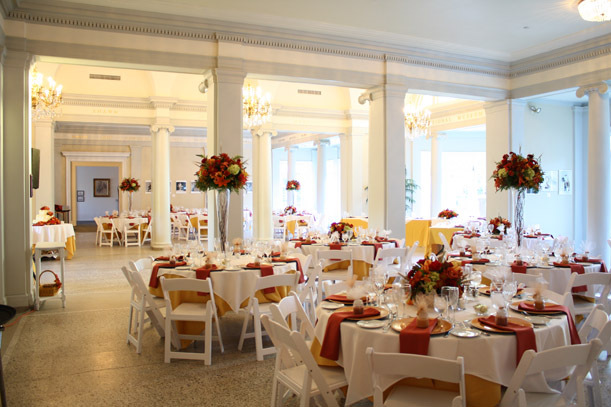 Regardless of what you envision for your special day, the museum offers the ideal environment, with a mission to provide you with the experience of a lifetime. Brides and grooms are invited to tour the museum personally to see how staff can assist in making your wedding perfect. To schedule a visit, please call (518) 584.2225 ext 3003, email rentals@dancemuseum.org, or use the contact form at right. Editor’s note: Please tell National Museum of Dance you discovered them on Adirondack Weddings Magazine!